Passing past Westminster this morning there were a few interesting sites. Horse Guards and the surrounding area have been takien over by the Longines Horse Trials. 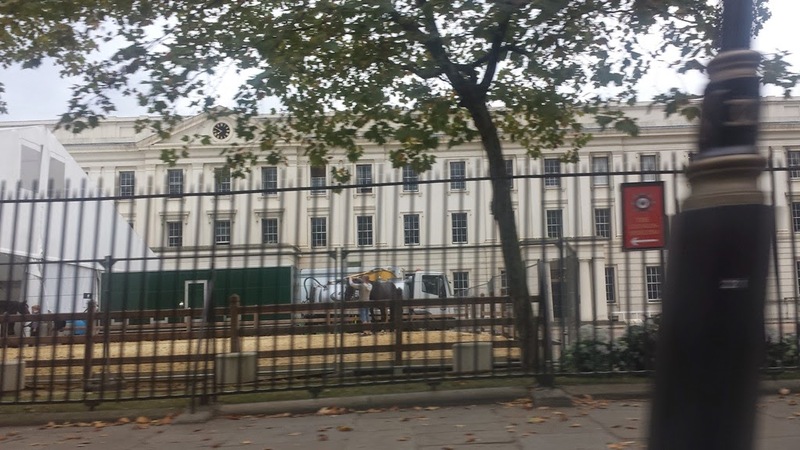 Horses getting groomed, exercised - and of course Horse Guards itself closed. That does explain the marquees and seating that have been going up in the area! Meanwhile at Hyde Park Corner the Hulk (Hulk Angry??) has taken up residence atop the main structure. 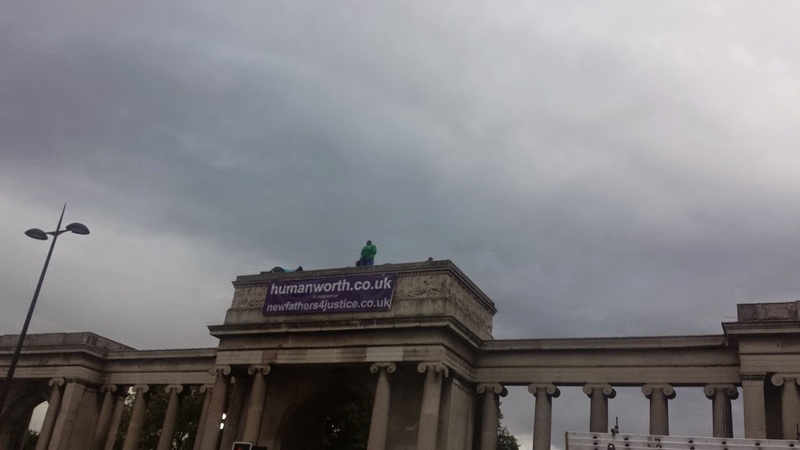 The banner proclaims Human Worth in support of New Fathers for Justice. I don't suppose it will be long before police/fire brigade are on the scene to remove him from his perch. I also spotted a bunch of boxes in Parliament Square with a TV crew in residence - no indication on what is going on there yet.